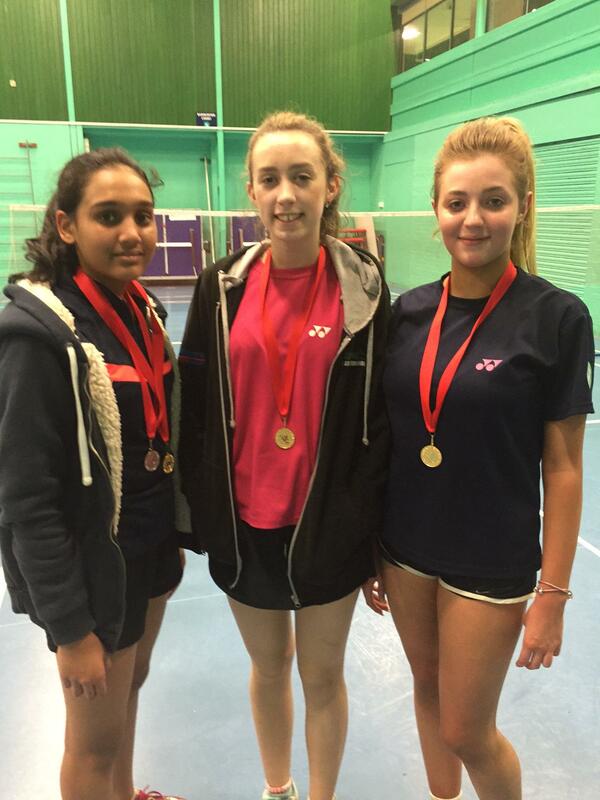 > A great result for the Leicestershire girls in the Nottingham U15 Bronze event on 19th December 2015. Pictured are the golden girls Hritika Modi, Eve Dale and Ella Haines. > Hritika and Eve won the gold in the doubles event and then in a nail biting final Ella narrowly pipped Hritika 22-20 to clench the singles gold. > Well done to all! Next Next post: Shires League win for U15s!